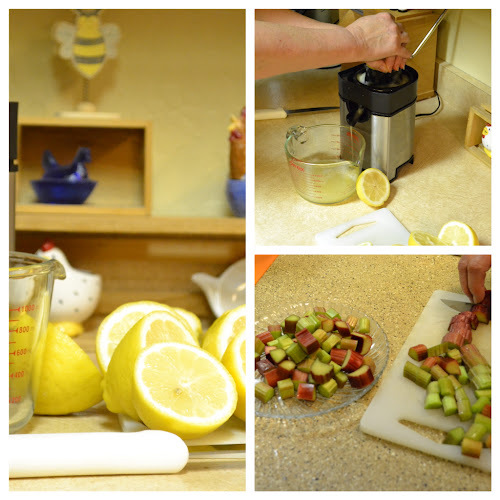 Over at Julie's: Rhubarb Lemonade Elixir . . . Excitingly ~ Delicious!!! Rhubarb Lemonade Elixir . . . Excitingly ~ Delicious!!! I am a rhubarb lover from way back, so, when I found this recipe for Rhubarb Lemonade I was salivating at the thought of tasting it! Will was dubious about "wasting" my special commodity of rhubarb on lemonade, that is until he took his first sip! Let me back up a bit to explain. I live in a climate that can't grow rhubarb! I purchase seeds for Victoria Rhubarb and start my own plants inside every winter! Because my rhubarb is grown as an annual, my plants never turn into a limitless, plush rhubarb patch. Out here in Arizona we grow rhubarb as an annual because when the temps hit 100+ most everything dies including rhubarb! Rhubarb isn't just another funky vegetable, it has many health benefits! In a study by Stephen Daniells, it was found that the Vitamin K in rhubarb, may reduce the onset and development of insulin resistance in men and thus offer the possibility of not getting diabetes. Rhubarb is high in Vitamin C, which boosts the immune system and helps protect against infections, and protects healthy cellular growth. Because rhubarb is high in calcium it is beneficial to help build strong bones and teeth. It is also an excellent source of dietary fiber, helping to maintain a regular and efficient digestive system. Now, let's talk about this delectable elixir! It is a taste sensation, a crisp burst of liquid rhubarb in your mouth, both tart and sweet with just a hint of mint to add a layer of sophistication! I'm in love! 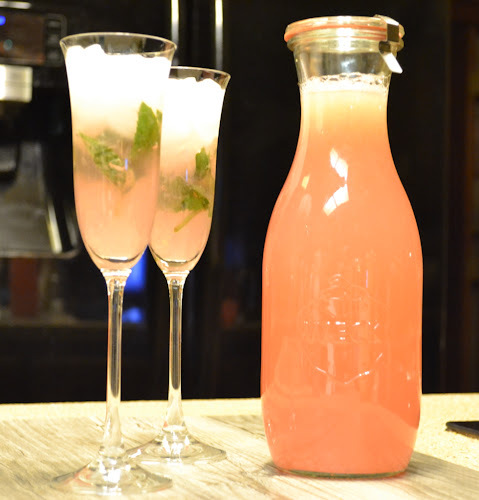 RHUBARB LEMONADE ELIXIR ~ adapted from Better Homes and Gardens Magazine. 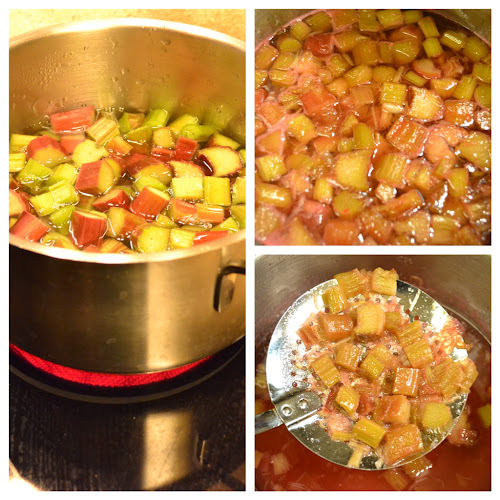 Trim and wash rhubarb, cut into pieces equaling 2 1/3 cups. Bring 2 cups of water and sugar to a simmer, stir to dissolve sugar. Add rhubarb and simmer for 8-10 minutes, being careful not to overcook so that it falls apart (like mine did). 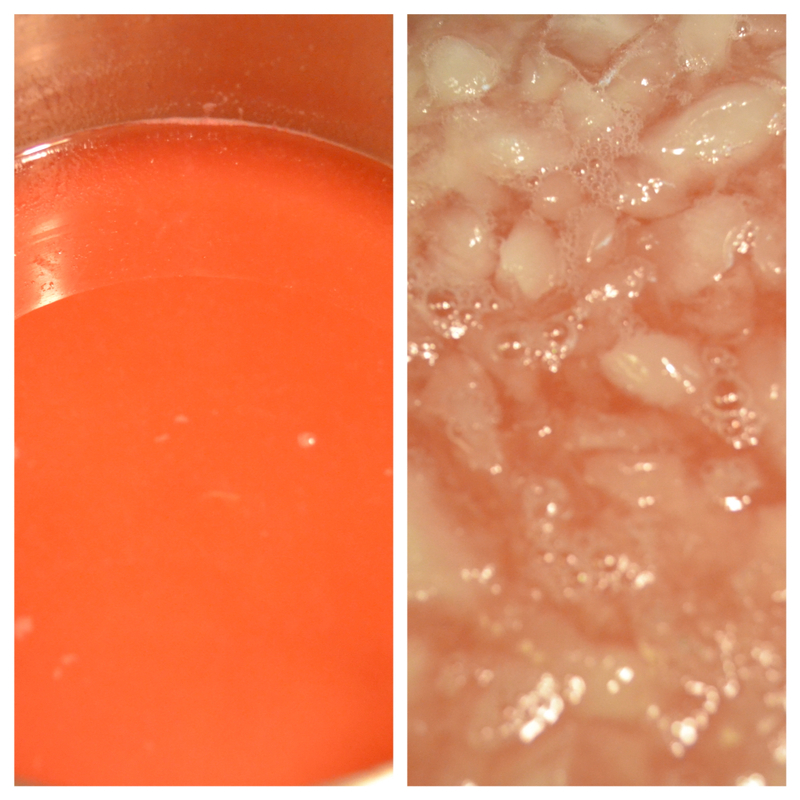 Pour hot rhubarb syrup into a 2 quart glass measuring bowl. Add enough cold water to equal 8 1/2 cups. Bruise fresh mint sprigs with the back of a spoon. 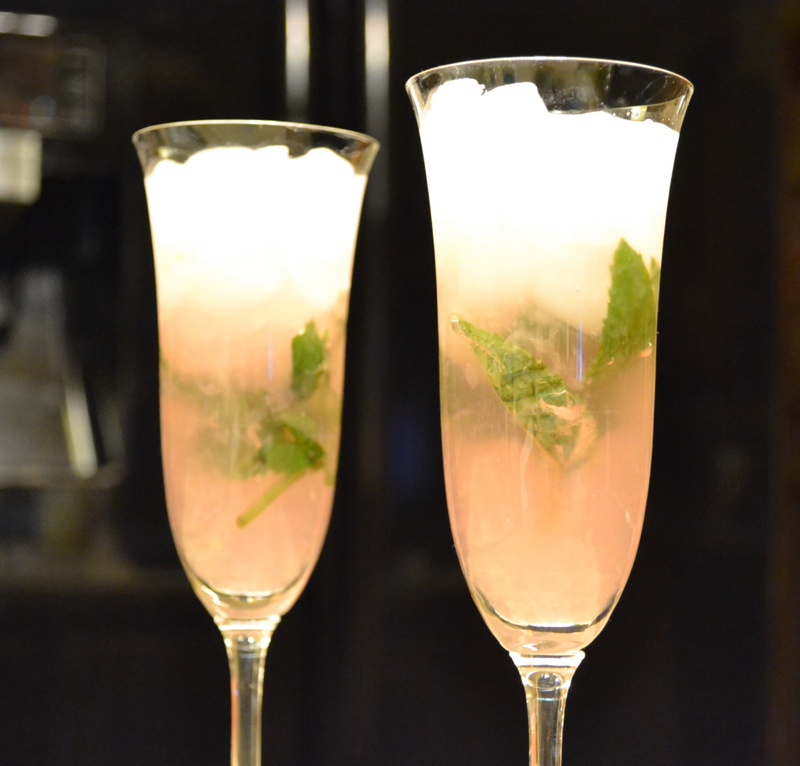 Get out fancy glasses, pour Rhubarb Lemonade Elixir over crushed ice, and a bruised sprig of mint. 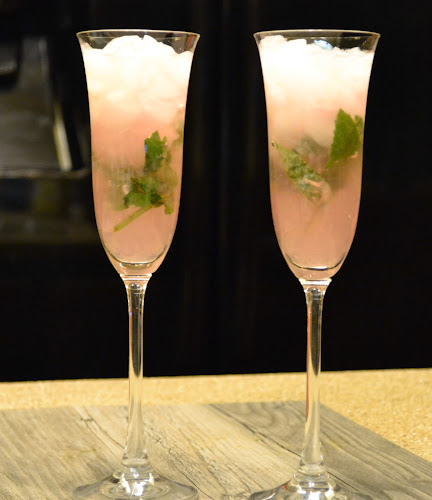 This is an elegant drink to be sipped not gulped! I am totally amazed at how truly wonderful this Elixir tastes! I love this stuff! As long as the rhubarb holds out, we'll be doing a lot of sippin' . . . Over at Julies!!! Another Birthday . . . Lalaloopsy Bib Overalls! The BEST Chocolate Chip Oatmeal Cookies EVER!! !